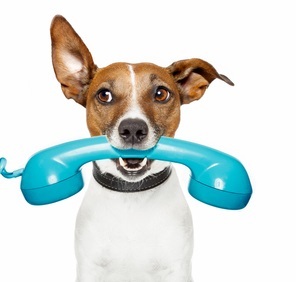 Most of the job applicants take phone or telephone interviews very lightly. That’s exactly where they make the biggest mistake. As a matter of fact, a phone interview is the key with which you open the door to an in-person interview, getting closer and closer to the job of your dreams. As a smart jobseeker, you should use a telephone interview to prove to the employer that you are worth the investment of their time. Therefore, prepare yourself to use the next phone interview to land a face-to-face interview with the hiring manager or the employer. I’ll repeat – ‘Don’t take it lightly.’ If you plan to sit face-to-face with the hiring manager and get hired, you should always look at phone interviews as excellent opportunities to land in-person interviews. When you start to take phone interviews really seriously, you would also prepare yourself well. In fact, you should prepare for phone interviews as you would do with a face-to-face interview. During a telephone interview, hiring managers or employers ask some common questions relating to your background, skills, the new job and the new company. It’s advisable to create a list of the most commonly asked phone interview questions and practice answering them. Practice the questions from this list and it will make you sound confident. You should not attend a phone interview just anywhere. If you want to use this interview to grab an in-person interview, you should also make sure to choose a space where you feel more controlled, more comfortable and more confident. It’s better to choose a quiet corner at home. To make a strong impression on the hiring manager, listen really well and answer with confidence, choosing the right space is essential. Even before you start speaking with the hiring manager on the phone, you should start thinking of yourself as a seller. You need to sell your skills. The point is to make the employer feel the value that you can bring to their organization. Once they are sure about your valuable skills and abilities, an in-person interview will just be round the corner. Well, there are also ways that you can use to compel the phone interviewer to call you for a face-to-face interview. It’s all about the way in which you answer the interview questions on phone. The whole idea is to compel the employer know more about you, your background and skills. Job applicants that underestimate the value of a phone interview ignore sending a thank you email. After the interview comes to an end, sit at your computer and craft a brief thank-you email. Express your thanks for the employer’s time while shining lights on your most valuable skills. Don’t let the next phone interview go to waste. Start the preparation in advance so you can get the most out of the conversation. Today, most of the employers or companies use phone interviews as screening applicants quickly. And, for you, this is the most important step of your job search process. If you miss out on the first step, how can you expect to go on to the next steps? Please let me know about your views and opinions. This entry was posted in Interview and tagged phone interview on November 5, 2013 by Carl Mueller.